Dominic has done it again. Dominic Chambrone AKA The Shoe Surgeon is known for his amazing creations (and re-creations) of sneakers using luxury finished. His attention to detail is forever on point. There’s no wonder he is the go-to-guy when it comes to fully customized, luxury sneaker requests. He’s done a snakeskin take on the Jordan “Homage to Home” Sample, along with many crazy renditions of Yeezy’s and most recently, his all-Gold LeBron 15 that featured in the 60th anniversary issue of GQ. But yesterday’s unveiling is in another league altogether. 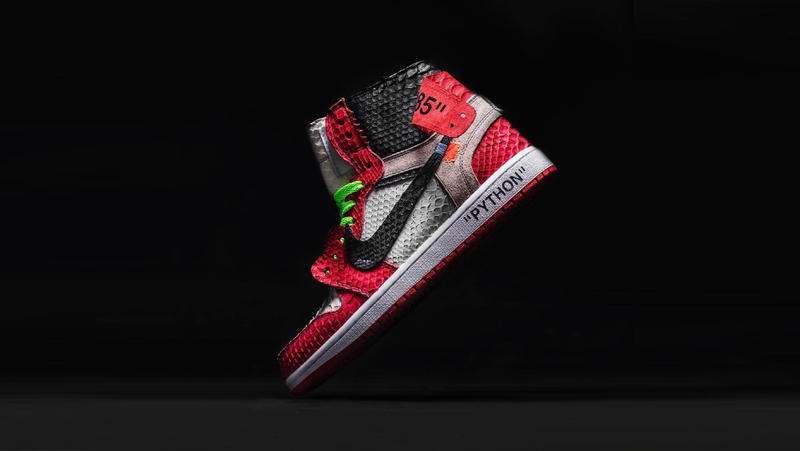 Dom took on Virgil Abloh’s Off-White Air Jordan 1 – and he pulled it off in spectacular fashion, of course. This is the only image we have so far, but we’ll be sure to get more as the day goes on. Check it out below, and let us know your thoughts on The Shoe Surgeon’s latest creation in the comments below!